Pulitzer Prizes for Russian Spy Stories? The American media establishment is on the verge of awarding “distinguished” Pulitzer Prizes to National Security Agency (NSA) leaker Edward Snowden’s media mouthpieces, the recipients of his stolen national security documents. Such a move would further confirm the role of the media in helping America’s enemies and adversaries, and undermine whatever credibility the media have left with the American people. Dylan Byers’ story in POLITICO, “Edward Snowden looms over Pulitzer Prizes,” engages in speculation about which media figures receiving the Snowden documents might get a prize. It also plays down Snowden’s debt to the Russian regime, which gave him asylum. Snowden “is living in Russia,” Byers says, as if the former NSA contract employee has been on a vacation and may soon depart for the Bahamas. Why the reluctance to tell the truth about Snowden’s circumstances? Even Snowden adviser Jesselyn Radack says “it is perfectly appropriate” for the Russian security service, the FSB, to be “guarding” the former NSA contractor. Snowden is Russian President Vladimir Putin’s puppet. Byers fails to note that a classified report from the Department of Defense (DoD) concludes that Snowden downloaded approximately 1.7 million intelligence files—described as the single largest theft of secrets in the history of the United States—and that “much of the information stolen by Snowden is related to current U.S. military operations” (emphasis added). 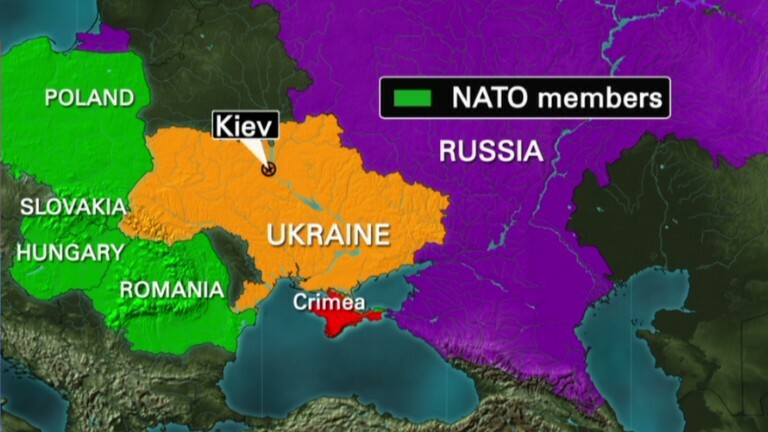 That could include the operations of NATO, in response to Russian aggression in such places as Ukraine. Gates understands that Snowden went far beyond revealing details of what Byers misleadingly calls the NSA’s “widespread domestic surveillance program.” In fact, the NSA targets foreigners in order to uncover terror plots and espionage operations, and their American-based operatives. One of the most famous projects in the history of the NSA was Venona, which helped uncover Alger Hiss and other Soviet spies in the U.S. government by analyzing communications from Moscow to the U.S.
Snowden has been labeled a “modern-day Alger Hiss” by former Senator Jon Kyl (R-AZ), a description that captures the essence of his betrayal and the damage he has done. Hiss went to prison. Saluting Snowden’s media collaborators would give the Pulitzer another black eye, in the same way that Walter Duranty’s cover-up of Stalin’s murder of millions of people in Ukraine was given a Pulitzer Prize in 1932. That mass murder is known as the Holodomor, or death by starvation. This prize was never withdrawn and is still featured on the Pulitzer website. The Pulitzer Prize Board announced in 2003 that it would not revoke the foreign reporting prize awarded to Duranty because there wasn’t “clear and convincing evidence of deliberate deception” on Duranty’s part. Giving awards to Snowden’s media mouthpieces would continue this tradition of making rash decisions without all of the evidence of Snowden’s service to Moscow being considered. What we do know about the spy case is already worrisome. Now under the control of the FSB, Snowden is a document thief who broke the law, fraudulently gaining access to classified material. Any Pulitzers given to his enablers in the media will reflect the official opinion of the Russian government, which has facilitated his activities, including a propaganda appearance from Moscow in which he was flanked by a blown-up copy of the U.S. Declaration of Independence. But as former National Security Council staffer Oliver North has commented, it is likely the case that the Russians will kill Snowden once they are done with him, and then blame his death on the U.S. In one of the few statements in his article not tainted by bias, Byers reports that the Pulitzer committee meets on April 10 and 11, and the Pulitzer Prizes, designed to honor “excellence in journalism,” will be announced on Monday, April 14, at a 3 p.m. news conference at the Columbia University Journalism School. On that basis, it would be inconsistent with Pulitzer’s vision to give positive recognition to stories which undermine our democratic form of government, to the advantage of dictatorial regimes such as Russia and China. Snowden decided on his own to subvert our system of checks and balances, traveling through Chinese Hong Kong while releasing classified material before getting asylum in Russia. He is not unlike two other NSA spies, 29-year-old William H. Martin and 31-year-old Bernon F. Mitchell, young men with Communist Party affiliations who defected to the Soviet Union in 1960. How moral is it to receive stolen documents from someone who is at least an agent of Russia and may, in fact, have been a spy all along? 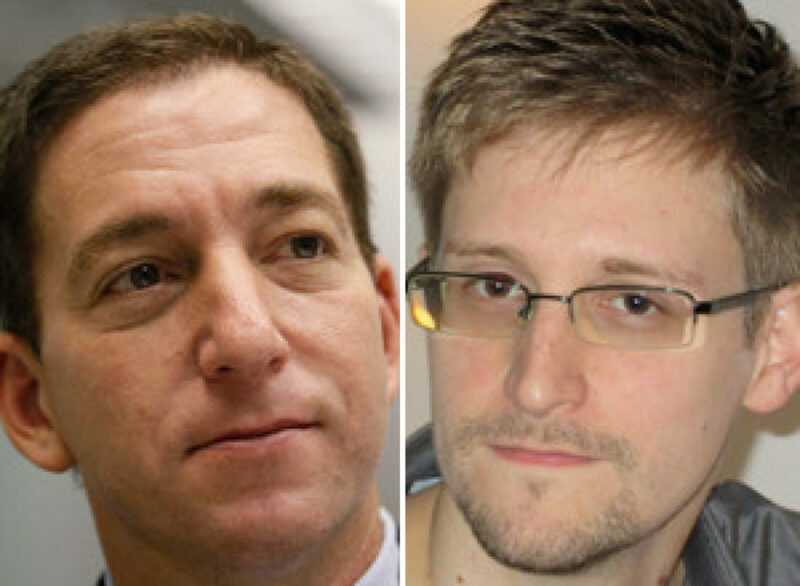 The “Snowdenistas” (to use a term coined by writer Edward Lucas) under consideration for Pulitzers, according to Politico, are Glenn Greenwald, Laura Poitras and Ewen MacAskill for their reporting at The Guardian, as well as Poitras and Barton Gellman for their stories about Snowden’s disclosures at The Washington Post. Giving an award to Glenn Greenwald—simply described by POLITICO as Snowden’s “staunchest public advocate”—would be to ignore or dismiss the substantial evidence in his particular case that he is working with identified enemies of the United States. Byers calls him “a staunch anti-surveillance advocate,” even though Greenwald hasn’t achieved a reputation for writing articles critical of the surveillance practices of the Russian FSB. As noted by AIM, Greenwald proudly accepted an award named in honor of Soviet agent and left-wing journalist I.F. Stone and regularly attends international communist conferences co-sponsored by the International Socialist Organization, a group that proclaims, “We stand in the Marxist tradition, founded by Karl Marx and Frederick Engels, and continued by V.I. Lenin, Rosa Luxemburg and Leon Trotsky.” He has encouraged people to donate money to WikiLeaks, the organization started by Julian Assange that disclosed classified information about U.S. counter-terrorism programs. Assange himself worked for Russia Today (RT), which, in the wake of its outlandish claims about the Russian invasion of Ukraine, has been exposed for all to see as a Moscow-funded propaganda channel. Back on April 28, 2012, Greenwald defended RT, saying, “…while it’s certainly true that the coverage of RT is at times overly deferential to the Russian government, that media outlet never mindlessly disseminated government propaganda to help to start a falsehood-fueled devastating war…” He was referring to the U.S. media reporting justifications for the liberation of Iraq in 2003, but spoke too soon in regard to RT. Correspondent Liz Wahl recently resigned from RT, in part over its propaganda in favor of Putin’s war in Ukraine. AIM has been documenting RT’s propaganda operations for four years. Awards are made by majority vote. So Gigot can be expected to vote against Pulitzer Prizes for the “Snowdenistas” in the media. But will he go further? Will he resign from the board in protest? When asked for comment on this process, we told POLITICO that Snowden, charged with espionage, did not flee to a neutral country; he fled to Russia through China and is now under the control of the Russians. It is legitimate to question whether the documents and information turned over to the Russians or the Chinese will make future wars more likely. Specifically, what did Snowden tell the Russian FSB about U.S. capabilities to detect and deter a Russian invasion of Ukraine, or the ability of the U.S. to determine the nature or intentions of the Putin regime? We pointed out that AIM just gave investigative journalist Bill Gertz the Reed Irvine Award for Investigative Journalism. Gertz, who writes for The Washington Free Beacon and The Washington Times, has broken many significant stories over the years on Soviet and Chinese espionage and subversion. One of his books is titled, Enemies: How America’s Foes Steal Our Vital Secrets—and How We Let It Happen. Why doesn’t that kind of journalism win a Pulitzer Prize? Or do you have to damage America—and help our enemies—before you are noticed by the American journalism establishment? 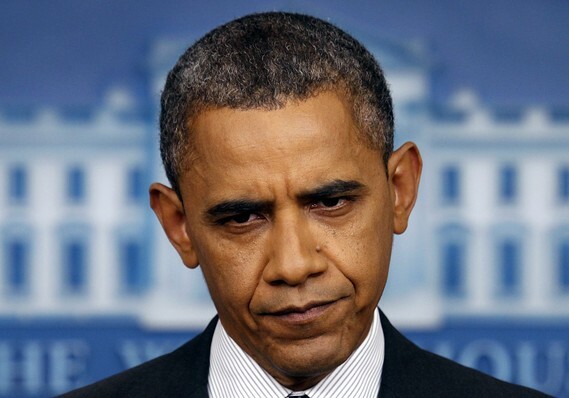 “Political figures in both political parties agree that Snowden is a traitor. So what does that make his enablers in the media? They are certainly not journalists who deserve journalism prizes. Journalism awards should not be given to recipients of stolen national security documents whose work has made America more vulnerable to terrorist attack and its military personnel more likely to die at the hands of terrorists or enemy regimes. “It was James R. Clapper, Director of National Intelligence, who said in January 29 testimony to the Senate Intelligence Committee that ‘the leading state intelligence threats to U.S. interests in 2014 will continue to be Russia and China, based on their capabilities, intent, and broad operational scope.’ These are the two countries which facilitated Snowden’s travels as he sought to damage U.S. interests. They have clearly benefited from his espionage activities. The journalists who publicize Snowden’s stolen documents claim to be protecting our privacy but in fact they have made it easier for America’s enemies and adversaries to gather intelligence on U.S. targets, civilians and military. POLITICO’s sloppy formulation includes a big “although.” It’s almost like a “but,” a word choice that permits the author to acknowledge but minimize the damage Snowden has done. Let’s understand this peculiar choice of words. If changes have been made in how terrorists communicate, that means they are trying to avoid detection by the NSA. And that means they are more likely to be able to carry out terrorist attacks. Speaking before the Senate Armed Services Committee on February 11, Defense Intelligence Agency (DIA) Director Lt. Gen. Michael T. Flynn said, “In my professional military judgment Mr. Snowden’s disclosures have done grave damage to the Department of Defense and go far beyond the act of a so-called whistleblower. I have no doubt that he has placed the men and women of our armed services at risk and that his disclosures will cost lives on our future battlefields” (emphasis added). He went on to say, “…I won’t put a dollar figure but I know that the scale or the cost to our nation obviously in treasure, in capabilities that are going to have to be examined, reexamined, and potentially adjusted, but I think that the greatest cost that is unknown today, but we will likely face, is the cost in human lives on tomorrow’s battlefield or in some, someplace where we will put our military forces—you know, when we ask them to go into harm’s way. That’s the greatest cost that we face with the disclosures that have been presented so far. And like I said, the strongest word that I can use is this has caused grave damage to our national security” (emphasis added). So the cost will likely be heavy in terms of loss of life and resources. The term “distinguished,” in referring to Pulitzer Prizes, needs to be questioned. In addition to the continuing controversy over the award given to Walter Duranty, a Pulitzer Prize was given to The Washington Post for Janet Cooke’s story about an eight-year-old heroin addict, Jimmy, who did not exist. The 1981 prize was later withdrawn after the story was exposed as a hoax. The people of Ukraine, under threat and possible attack from the Russian Army, might qualify as “powerless.” But Snowden is not concerned about them. He has gone over to the side of their oppressors, a regime that has been whitewashing the crimes of Stalin. “Many of Snowden’s critics are often quick to paint Greenwald, Snowden’s staunchest public advocate, as an accomplice,” Byers said. But Greenwald is much more than an accomplice. The anti-Americanism that drives Greenwald and Snowden raises the question of why one has been charged with espionage and not the other. After all, they have worked together to weaken America and turn our secrets over to Russia, China and Iran. In Crimea’s capital, Putin’s supporters have been rallying around a statue of Lenin. Some have been carrying pictures of Stalin. Snowden is their hero, too.